The Eagle Garage Door staff is the most well-trained and experienced group of technicians in the region. 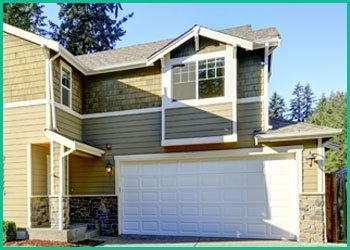 We offer 24-hour emergency garage door repair service, and we also install and design new systems as well as maintain and upgrade existing systems. We have a target time of no more than an hour for each call, and we arrive on your site with a mobile workshop that allows us to offer our full range of services without interruption. We can work around your schedule, and we can install doors at your place of business without disrupting your normal day to day operations. If you're interested in installing a new system or designing something from scratch, our specialists will work with you to determine exactly what will work best for you. We strive to stay on the cutting edge of industry developments and best practices, and we can give you the most complete picture of all the options that are available. In addition, we've developed the best supply network in the Cambridge area, allowing us access to the greatest possible range of doors and parts to cover every eventuality. Cambridge businesses and homes have trusted Eagle Garage Door with their garage door needs for years, and we'd be happy to show you why with a free initial consultation. We're certain that we'll fully meet your needs with our highly trained staff, advanced mobile workshop units and our insistence on maintaining the highest service standards in the industry. We give our Eagle Garage Door technicians broad training so that they are able to handle any customer need that might come up. Our technicians are backed up by mobile workshops that allow them to perform all of our services right on site, even if you need to make last-minute changes. Our staff can also make helpful suggestions that improve the security, the aesthetic appeal and the function of your garage door area. At the back of all this is our incredible inventory of both brand-name and generic parts, allowing us to quickly address any repair or installation situation without making you wait. Trust is at the core of the relationship we build with each customer. We understand that granting technician’s access to your home or business involves a significant level of trust, and we take every possible measure to ensure you will feel comfortable with the work that we do. Eagle Garage Door has been working in the area for years and is proud of the relationship we have developed with the local community. It's our home as well as yours, after all. Eagle Garage Door seeks to earn your trust by training our staff to the highest possible industry standards. We require that all members of our staff hold relevant national and local qualifications and certifications for each task that they perform. In addition, we have our own in-house customer service training program that empowers technicians to walk you through the work they are doing for you step by step. 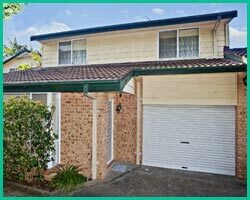 We always provide a written estimate with a cost breakdown that is clear and easy to understand, and we offer a free initial consultation with no obligations to begin exploring ideas for your new garage setup. Finally, we fully guarantee all of the work we do, because we have complete confidence in every job. Whether it's at your business or at your home, the smooth function and security of your garage door is a critical component of your day-to-day activities. Unfortunately, these doors are under a great deal of stress at all times, and even the best of them will experience mechanical issues at some point. There's also always the issue of damage from an attempted burglary or from vandalism. Eagle Garage Door's garage door service in Cambridge is designed to quickly diagnose and understand your needs and deliver the best possible service in the shortest possible amount of time, without disrupting your work or home life. Our services aren't restricted to just emergency situations, of course. Eagle Garage Door also wants to be your first choice for installation of new garage door systems. You can call us for a free initial consultation to begin discussing the available options. 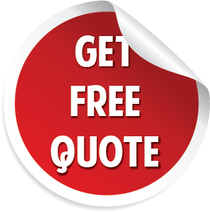 If there's an option you already have in mind, we can send you a complimentary cost estimate. The expertise of our staff combined with our extensive inventory of parts enables us to very quickly set up both standard and custom door configurations, and we can even have specialized doors built for you.